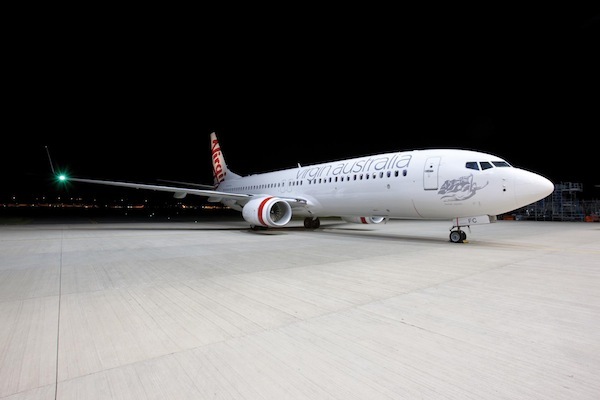 As part of the ‘Game Change program’ new business strategy announced in 2010, Hulsbosch was briefed to ‘re-define the Virgin Airlines brand in Australia’ in direct challenge to Qantas, to elevate an under-dog to a genuine competitor. In early 2010, with the clear objective to compete head to head in the business travel market, the decision to rebrand Virgin Blue presented Hulsbosch with one of the most exciting creative briefs in the history of the Australian airline industry. 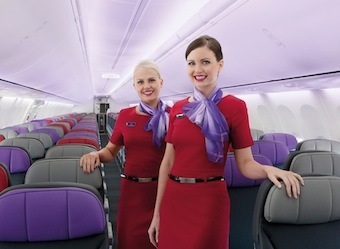 If Virgin Australia wanted to compete in this market as a contemporary business and leisure carrier, they needed to shift away from their low-cost carrier image and undergo a complete brand repositioning. The new CEO John Borghetti briefed Hulsbosch directly to do the job, clearly stating that he wanted to ‘re-define the Virgin Airlines brand in Australia’. Up to this time the airline had been operating under both national and international brands: Virgin Blue, V Australia, Polynesian Blue and Pacific Blue. 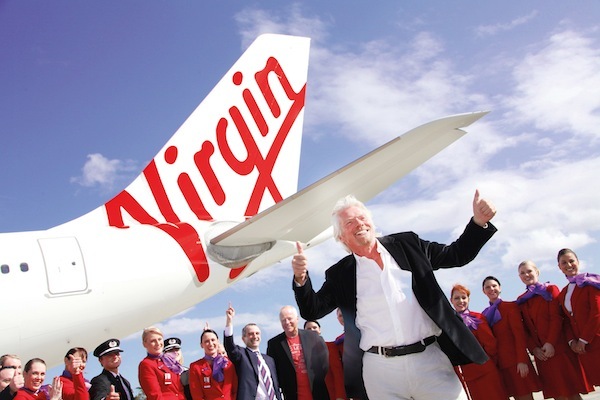 Hulsbosch developed the brand name, Virgin Australia, aiming to unify all operations. It was then able to apply its own strategic brand research to implement the comprehensive and holistic brand program. The goal driving the revitalisation was to increase the airline’s business customer market share by attracting a significant portion of its competitor’s affluent business customers. The agency was given 12 months to get the job done, and the revitalised brand was launched in May 2011. Hulsbosch consolidated the airline’s disparate domestic and international brands into one unified brand, Virgin Australia, allowing it to speak with a single voice using a contemporary visual language. Employing a five-senses approach to its brand revitalisation strategy in order to enhance the airline’s appeal to consumers, Hulsbosch looked at sight, aural, touch, taste and smell, and how each could be expressed through the brand. To complement this approach, a 360-degree brand map was devised detailing how each brand execution relates with each other, to tell the full brand story. All brand iterations were redesigned, from a new name and brand identity, aircraft livery (exteriors) and interiors including seat design plus leather and fabrics, carpets and curtains and onboard collateral. Hulsbosch also designed the concepts for the lounges and then partnered with Sydney’s Tonkin Zykakja Greer Architects to ensure that the lounge designs were consistent with the rest of the brand. All lounges feature a contemporary design, digital artwork by artist Daniel von Sturmer, illuminated Marblo bars, intricate timber paneling, vertical glass screens and natural light together reflecting a clever interpretation of the brand language. The Hulsbosch team also worked with fashion designer Juli Grbac to provide input into uniforms, scarves, ties and badges. The brand revitalisation project work extended to airport signage, Velocity Frequent Flyer identity and stationery. Hulsbosch toned down the bright red and some of the larrikin elements of the former identity to create a smarter, cleaner and more contemporary look to appeal to business travelers without alienating leisure guests. Virgin stands for pure and white, so Hulsbosch took ownership of white, adding the identity’s red, plus silver for sophistication and purple to give the brand an edgy look. The importance of the delivery of the brand was also considered for crew announcements, choice of music and onboard lighting during boarding and take off. Sophisticated in-flight menus were developed and designed by Hulsbosch and chef Luke Mangan. Materials and surfaces, from glassware to seating have all been selected to be consistent with the brand’s new look and feel. following the relaunch of the Velocity Frequent Flyer program last August, there are now over 3 million members, up from 2.5 million at the end of June 2011. This is an average of 1700 new members signing up daily. Velocity Frequent Flyer membership grew from 2.5 million to 3.2 million. 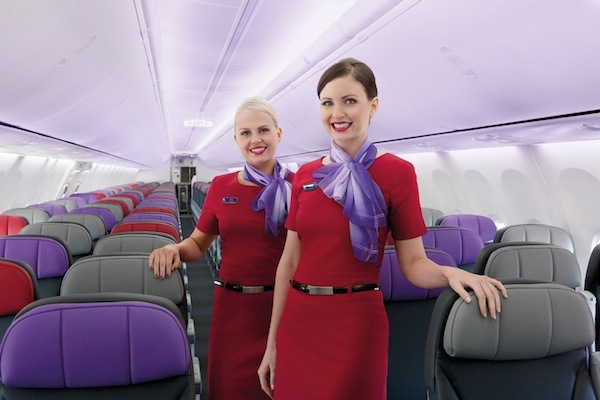 Virgin Australia was recognised at the prestigious Skytrax World Airline Awards, being voted best airline and best airline staff service in Asia Pacific for 2012, and climbing up the global rankings from 32nd in 2011 to 12th in 2012.